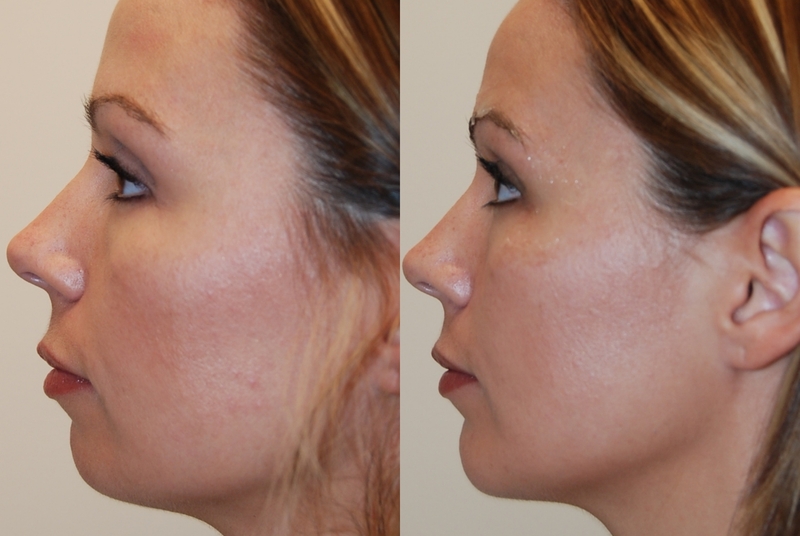 Do you need Chin Augmentation? or Reduction? If so, what area of the chin would you like enhanced? Is it the chin only or also the jawline? What “look” are you trying to achieve and do you desire a very prominent chin, chin rejuvenation or subtle chin enhancement? At Castleknock Cosmetic Clinic Dublin we see a balanced chin to brow ratio to be a vertical line from the glabella “between the eyes” and the tip of the chin. However, women in Dublin, Ireland can “get away” with having a smaller, or slightly deficient chin. 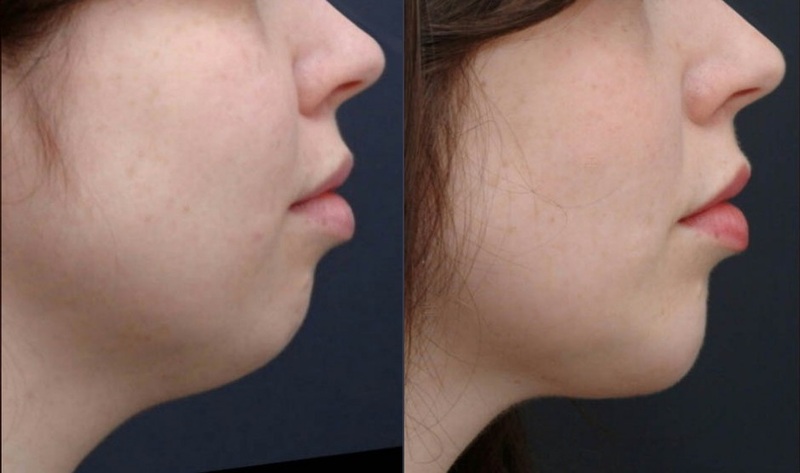 For those looking to enhance that selfie spoiling chin, we assess our patients at the Dublin based clinic and at our nationwide branches based upon a horizontal plane or line known as the Frankfort horizontal plane. The Frankfort Horizontal Line is is found usually on a side profile photograph. A vertical line is drawn from just in front of the eyebrows to the chin. In men seeking chin augmentation this line would ideally be as vertical as possible. 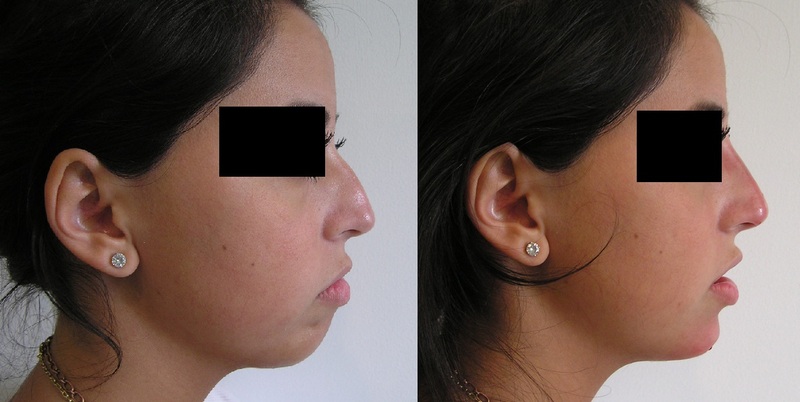 For women, the chin can be slightly behind this line and still look feminine and proportionate. Chin augmentation is the use of synthetic biodegradable substances to augment, or make the menton bone structure of the face more prominent. It can give balance to an otherwise less defined face or further augment an already existent chin structure. The fleshy pad of the chin is normally from 8 to 11mm thick. Jawline sculpting and contouring is up and coming in popularity. Have you ever wondered what the secret is to stunning model-esque bone structure? Facial contouring can do amazing things for your appearance. It can make a person’s facial features look more balanced as well as improve facial outline. Individuals with round jawline, slight jowling or receding chin can take advantage of jawline contouring. Ideal jawline angle for women is 110-120 degrees. For men a more erect angle at 100-110 is ideal. Contouring dermal fillers are used for this procedure. These include Radiesse, Juvéderm Voluma and Resylane Lyft. There are a number of suitable dermal fillers to choose from for the chin augmentation procedure. Dr. Házem Kahlout in the Dublin based Castleknock Cosmetic Clinic chooses to use either long lasting hyaluronic acid fillers like Juvéderm Voluma and the well used and trusted Radiesse. For longer lasting results Ellanse is used where it lasts for up to four years. During the procedure a topical numbing cream is applied to prevent pain during the procedure. The filler material is then injected into predetermined areas gradually sculpting the chin and bringing your new profile into light. Ellanse is a fabulous new dermal filler from France that is most suitable for people seeking long term chin enhancement. Ellanse is a unique dermal filler lasting up to 4 years. Ellanse dermal filler is injected in a similar manner to Radiesse with results being immediate and long lasting. Hyaluronic acid based fillers like Juvéderm Voluma and Restylane Volyme are also suitable alternatives for those who would rather shorter durability or consider reversing the effect. The procedure is typically performed in about half an hour. You may experience two to three days of minor swelling and on rare occasions bruising may develop. The results typically last 6 months to a year depending on the type of HA filler used. If you choose Radiesse or Ellanse then we should expect a much linger duration.